The study by industry body ASSOCHAM has found tele-density, or number of cellphone users per 100 people, returning figures of below 60 for Bihar and Assam, while the capital city of Delhi has a figure of 238. ASSOCHAM, or The Associated Chambers of Commerce and Industry of India, has released data from a study conducted on the tele-density distribution among the states of India. Tele-density refers to the number of individuals presently using a cellphone or a connected device, among every 100 individuals. An important study in light of the recent influx of affordable mobile devices and the advent of 4G network, ASSOCHAM states that while states like New Delhi, the capital city of India, stands at a tele-density figure of 238, other states like Bihar, Assam, Madhya Pradesh, Uttar Pradesh and Odisha all have tele-density figures of below 70, hence stating that despite the recent telecom boom, India as a nation is far from being entirely well-connected. As of the study’s date of publication of January 31, 2016, the national tele-density average stood at 81.82. Delhi has showed the highest rate of connectivity at 238, while the second highest is a surprise entrant in Himachal Pradesh, where most of the area falls under relatively difficult terrain. Himachal Pradesh has returned a figure of 123.19, quite impressive a figure for its geographic location. Other states that have returned satisfactory tele-density figures include Tamil Nadu, Karnataka, Kerala and Punjab. The recent times have seen a rise in the telecommunications sector, in multiple facets. The Government of India has given a major push towards technologically advancing India, with movements like Make in India and Digital India drawing a number of big names to the country. One of the notable participants of the Digital India programme is Intel, who is providing groups of technology innovators a space to bring connectivity and technology to rural areas. Home-grown technology is also a major focus in recent times, with Make in India seeing Moto, Xiaomi and manufacturer Foxconn set up assembly units across India. "There is a stark digital divide, meaning that India is not completely well-connected, yet"
4G network spectrum is also taking flight, with Airtel’s 4G services already existent for over two years. Vodafone is rolling out its own service, and Reliance Jio has unveiled 4G for its employees already, at the end of 2015. Other network services to aid India’s connectivity scenario include Google’s Railwire service to bring public WiFi hotspots to railway stations, BSNL’s plan to set up 40,000 public WiFi hotspots to connect remote areas, and technology companies like Lukup Technologies coming up with Lightup, a light-powered network transmitter and receiver that acts as a wireless network provider to areas where laying fiber lines is difficult, both logistically and economically. Google’s Project Loon is also scheduled to arrive in India, after having been given the green signal. 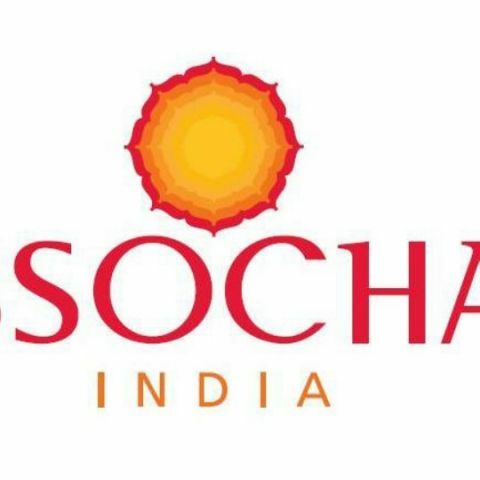 ASSOCHAM’s study highlights a key point of concern for India, and highlights the need to further spread the network to deeper corners of the nation, which remain out of the connected environment to date. Technological awareness is also a key area, which can go hand-in-hand with better infrastructure. my pc shows files in green color what i do? ?